THE NORTH FACE Mens Jacket Size Medium. Black Nice condition. Odd tiny mark too small for camera but over all very good. Please see pics. Color: Blue Wing Fantasy Ridge Light jacket byThe North Face. Jacket - Fantasty Ridge Light. Condition is Used. Pit to pit = 22ins. This is not the goretex version, its the lightweight windwall one. This jacket ensures your body temperature stays consistent regardless of the circumstances through trapping body heat and insulating. Fixed hood. Bound hood. Internal chest pocket. Insulation: 800 fill Responsible Down Standard (RDS) certified goose down. THE NORTH FACE GILET. REALLY SMART JACKET. I have tried to be accurate in describing the item. A SIZE 12 UK. IN REALLY NICE CONDITION. A PURE BARGAIN. Great The North Face Hyvent jacket 👌🏼. Lightweight,waterproof,windproof,breathable,zip underarm vents. White with grey detailing. Concealed hood. Good used cond. pit to pit 22".pit to cuff 21.5". DESIGNER THE NORTH FACE FLEECE GORE-TEX JACKET. nice lightweight fleece. ith Logo on the breast. neck to bottom 26". GORE-TEX SUMMIT SERIES jacket. Ski Snowboarding Jacket,hooded. The North Face. more pictures to follow ! Well Used Condition (has marks on one arm) - 100% Authentic. Pull on this cosy hoodie for casual adventures or use it to take the chill off cool evenings around camp. Lock the warmth around your head by raising the hoodie and adjusting the drawstring for a snug fit. You are bidding on my Men's North Face jacket size M. This jacket has had some wear, and despite this, is a reluctant sale! Perfect for the hills or for the high street, the jacket is in good condition and has always been looked after. It comes from a smoke and pet free home. Happy bidding! This is a greeny/grey colour. 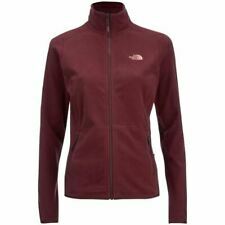 The north face ladies fleece medium. Condition is Used. Dispatched with Royal Mail 2nd Class. For official The North Face size guide use the following link;. The shell is 100% nylon, as is the lining. The insulation is 100% polyester. North face apex In good condition, the colour is green and brown, stretchable elastic in the material,see label picture for the material in this jacket. Great for weather elements and all outdoor activities, it has a fixed hood with pull togs, 4 front pockets zipped. Large zip to front, it has waist pull togs, the wrist straps are Velcro. It’s 14 months old. Measurements All measurements laid out flat. Armpit to Armpit is 21 inch. Collar to hem is 29 inch. Armpit to cuff-end 23 inch. Returns are accepted but buyer pays return postage, if you can’t pay within 48 hours please don’t bid or buy.